Brian Kolenda was recognized by his alma mater as a rising star among Canadian trial lawyers. Brian received the Dan Soberman Outstanding Young Alumni Award for early-career success on May 24, 2018 at the annual Queen’s Law alumni event in Toronto. This award recognizes Brian for his outstanding professional achievement, community service and commitment to Queen’s Law since his graduation. "We are thrilled that Brian’s contribution to the community and the profession has been recognized by his alma mater," said Managing Partner, Tom Curry. "Queen’s Law can be justifiably proud to have Brian showing the way forward – I know we share their pride in his work!" Brian is the newest partner at Lenczner Slaght, where he maintains a trial and appeal practice that includes commercial litigation, securities litigation, professional regulation, class actions and defamation. He has represented clients at all levels of Court, including as counsel at the Supreme Court of Canada in one of the leading cases on the law of defamation. Brian also acts pro bono for refugee claimants seeking emergency stays of deportation orders and as amicus to the Divisional Court in appeals involving self-represented litigants. As a member of the Advocates Society and its Young Advocates Standing Committee, Brian has contributed to initiatives concerning interventions, reform of the Rules of Civil Procedure and the organizing of professional networking opportunities. Brian is also committed to the development of the next generation of advocates, at Queen’s and elsewhere. Since 2014, he has co-taught International Law to hundreds of students at the University of Toronto, and he is now developing a course for Queen’s Law. 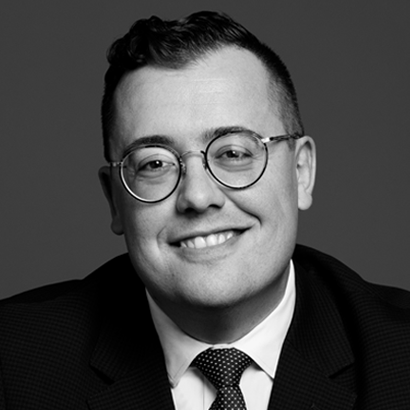 Brian has also acted for several years as a coach of the Queen’s Law Ontario Trial Lawyers’ Association moot team, including the 2016 winning team. Queen’s Law offers four annual awards that celebrate the accomplishments of their alumni. The Soberman Award is given to an alumnus or alumna who has graduated within the last 10 years, is 35 years of age or younger, and has demonstrated promising future leadership through outstanding professional achievement, community service or commitment to Queen’s Law. It was established in memory of Professor Dan Soberman (LLD’08), the youngest of three founding faculty members, who went on to serve as Dean of Law for two terms. Recipients are selected by the Queen’s Law Dean’s Council Awards Committee, which is composed of the Chair and three other members.